My aunt lives in this beautiful community and she loves it so much! The staff is very, very friendly. They go the extra mile to make her feel like a valuable part of a large family and are always on top of her care needs. It is an ideal situation where she enjoys her independence and has the care she needs when she needs it. The staff knows she loves to read and they are always recommending good books and bringing her new ones to read. The Butler is so accommodating and will often run out to the store to pick up a few things that my she needs in her apartment. My aunt spends a lot of time enjoying the beautiful back patio, chatting with friends. I feel so great knowing that there is a nurse on site even through the night. They help with appointment scheduling, which is a huge help to me. Jason, the chauffeur, is so kind and she really enjoys his sense of humor on a ride to an appointment. I would highly recommend this community to any family, any time. Best of the best. We moved our mother to Brandywine Litchfield from out-of-state recently, and the organization and staff have gone out of their way to make her feel comfortable and welcome. It has been a big relief to us to have her so close, and even more to see the care and attention that she receives. Thank you, Brandywine! Care is top notch. Staff are very gracious. Well-appointed rooms. My mother moved into Brandywine. They're excellent, the staff is very friendly, warm, inviting, and I felt very comfortable with them. They didn't hesitate to take care of any need, big or small. There is a warm and friendly atmosphere. She likes the food, but, it's costly, and they charge you for everything. 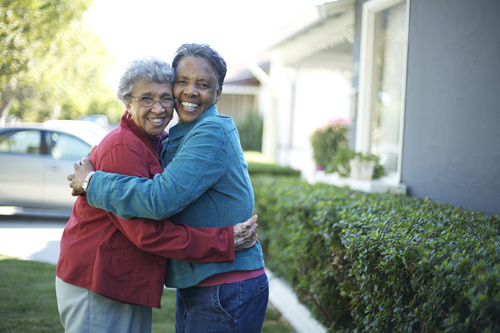 Brandywine is the 'go-to' place for any senior assistance you and your family need. They have a wonderful attitude, the resources to make things work well, and truly are a great find in Litchfield. Our 88 year-old-aunt is a resident at Brandywine and could not be in a better place. 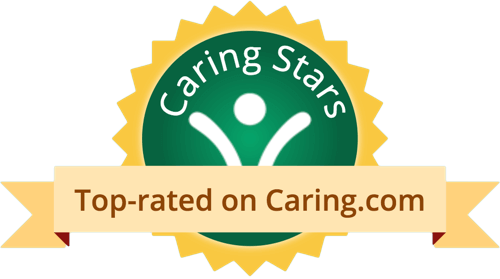 From initial assessment to move-in to the required adjustments to changes in her capabilities, Brandywine's caring staff has made all the difference. Our family rests easy, knowing that her medications are administered, her meals are wholesome, laundry/housekeeping are managed -- and we take great comfort when she says "this is a great place." Key to our aunt's (and our) contentment is the clear evidence that Brandywine is a happy place -- every staff member is cheerful and upbeat, and the atmosphere is positive. From small details like the staff greeting her by name to management's wise assistance and guidance with major transitions, Brandywine is exceptional. My Grandmother has been living at Brandywine for four years now. My first impression of Brandywine was that it is a fancy hotel, giving the residents their independence while providing them with daily needs (meals / housekeeping / laundry / activities). All of the staff members at Brandywine are wonderful, welcoming and helpful. There is nursing staff available 24/7 and they are always available to speak with me regarding any concerns I might have. All of the management staff has also always been helpful and supportive when I needed to make important decisions. I don't know where to start. My mom moved to Brandywine from independent living a little more than one month ago. My sister and I both agree she is happier today than she has been in over a decade. She has regained many skills(memory, walking, singing, reading, cooking) and interests she had lost over the past years and is now more independent than before she moved in. ALL of the staff are exceptional. They have encouraged my mom to participate and try new things and celebrated all her choices. Yes the food is wonderful her studio apt is beautiful and airy and most importantly she is valued as an individual and treated with respect. She has HER life back! Brandywine has truly been a gift of life for my mom. She wakes up everyday excited about her plans and looking forward to the day. My biggest worry about my mom these days is I reach her by phone because she is never in her apartment. I cannot say enought about the staff at Brandywine. There was a lot of convenience about Brandywine. It is a 1-bedroom apartment with a kitchenette. The staff is very nice. The food is very good. They have bingo, arts and crafts, country rides, exercise class. I like the fact that my dad is happy. He likes to be around a lot of people. Overall, this facility was worth my grandmothers time and money. This is the first assisted living facility I ever went to, and I would personally recommend it to anyone. The staff seemed very friendly and took good care of my grandmother on a daily basis. According to her stories, they visited her often and made sure she was comfortable. The building itself was well kept, and the rooms were a perfect size for what my grandmother needed. The only reason I gave this facility a 4, was its price. Compared to places around it, it seems a bit high for what my grandmother was receiving. This facility is simply lovely. There is so much to experience. One thing that I would like to say is that I can tell that they truly value the residents, and make sure that they are always comfortable with their living arrangements. On top of a comfortably facility, it is also well kept and tidy. The staff are all well trained and seem to have a sense of caring for all the residents. There is a great courtyard for walking, and there is also a great common room for lounging and relaxing. The residents are all very friendly and seem to be open to socialization. i enjoy this place and am sure that more people will as well. I went to Brandywine Senior Living and this place is very nice. It was close to my house. What I really like about it is that they let the memory are residents go and enjoy what the assisted living people enjoy. They have different activities or shows or entertainers coming in and they let the memory care people out of their locked unit. They let them be a part of all that. They let them select from a menu what they want to eat. Brandywine Assisted Living at Litchfield is a senior living provider in Litchfield, Connecticut that offers residents Assisted Living and Memory Care. Contact Brandywine Assisted Living at Litchfield for more details on services and rates. What should caregivers and potential residents know about Brandywine Assisted Living at Litchfield?